Gone are the days when one had to wear clothes off the rack. 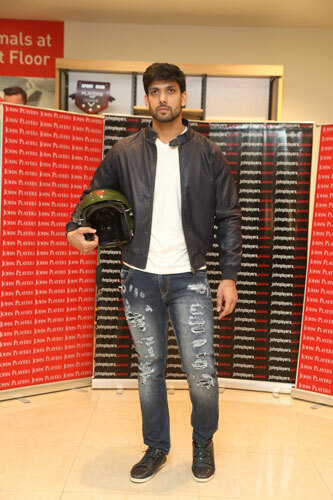 With DIY being a huge trend since last year, India’s leading men’s brand, John Players recently came out with a cool concept wherein you get to style your jeans your own way as part of their AW’16 collection. Aimed at the cool and fashion forward youth, John Players’ collection is stylish and full of life. This season, the brand has totally amped up the style with patch on and patch off jeans and washed denim shirts. The denims are available in multiple styles, fits, unique washes, treatments and various fabric options which are a must have for AW 2016. Raw, distressed, bleached and laser printed, you name it and they have it. John Players invited our team to try our hands at DIY denims and we got to customize it with patches, color splatter, sequins, rips and scissors. 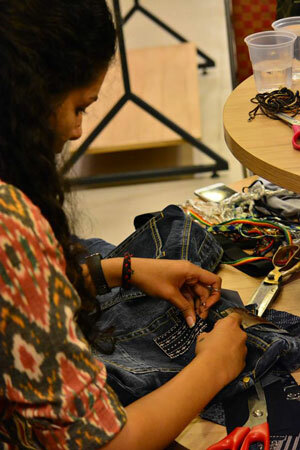 We opted for a distressed pair of jeans and customized it with patches on the back pocket. One can really showcase their personality and make it a unique pair with a bit of experimentation. And if you’re not too confident of your skills, John Players also has pre-made patch denims which are further complimented with patches on the denim shirts in the collection. Besides the DIY jeans, the AW’16 collection has a range of the coolest and the most striking of colors like coral, sour green, gold moss and deep teal. Indigo denim is naturally there to enable the full range of looks in denims. Dominant motifs such as Scottish checks and deep navy further underline the individuality, freedom and confidence of John Players’ consumers. We loved their slogan tees and full body print t-shirts that are bang on trend and will be really popular amongst the men. Biker jackets with contrast lining and great detailing makes one stand apart from the crowd hence I styled our model in one. With denim on denim still ruling street style, you can also pair a distressed denim with a washed denim shirt and make heads turn. The John Players AW’16 collection is uber stylish, cool and bang on trend for the season. It emphasizes on the core qualities of millennials and provides fashion at a decent price tag. 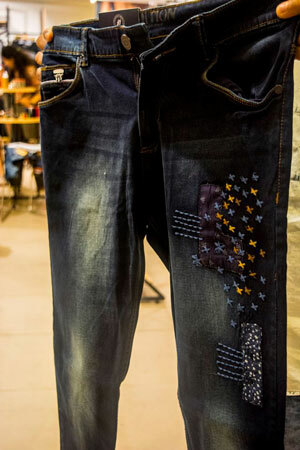 We love the concept of DIY denims for men and highly recommend checking it out at the stores. The Body Shop Gift Sets + My First Youtube Video!